Get The Glenn Connection! Opening Life's Doors. Based on superior client service, Edie is honored to be named a four-time Five Star Real Estate Agent (SM) in 2011, 2012, 2013, and 2014 (Chicago Magazine).The Glenns have decades of experience as real estate professionals and extensive expertise in other aspects of the business world. We bring this collective experience to bear on your "project" - the selling or buying of a home (and sometimes both!) We also do a steady business helping Expats from around the world get settled into the Chicago area. Our expertise stretches from the legal field to financial services to consumer marketing to technology. 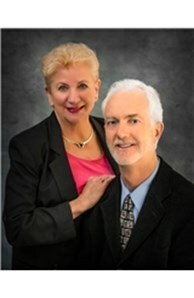 Many people ask how a husband and wife team can work so well together… well, it works for us and our clients! Edie handles most day to day client contact, while John takes care of the behind-the-scenes business and technical side. You're dealing directly with us… no assistants, just principals. We help clients up and down the beautiful Fox Valley, as well as in the Far West, West, and Northwest suburbs of Chicagoland. Having lived in the Fox Valley for 11 years, we know it very well, and we also lived in the Northwest suburbs for 15 years (commuting to such places as Arlington Heights, Des Plaines, Mount Prospect, Northbrook, Schaumburg, Rosemont and even Chicago). Algonquin, Arlington Heights, Aurora, Barrington, Bartlett, Bolingbrook, Buffalo Grove, Carol Stream, Cary, Crystal Lake, Downers Grove, East & West Dundee, Elburn, Elgin, Genoa, Gilberts, Glen Ellyn, Hampshire, Hampshire, Hanover Park, Hoffman Estates, Huntley, Kirkland, Lake In The Hills, Lake Zurich, Marengo, Montgomery, Mundelein, Naperville, North Aurora, Oswego, Palatine, Pingree Grove, Plainfield, Schaumburg, Sleepy Hollow, South Elgin, Streamwood, Sugar Grove, Sycamore, Volo, Warrenville, West Chicago, Wheaton, and Woodstock. Being Brokers with Coldwell Banker Residential Brokerage, we can make referrals to trusted professionals locally, nationally or even internationally. We are a Realogy company, the biggest in the residential real estate business, so if the area you’re interested in falls outside our own core areas in Northeastern Illinois (see Communities We Cover), we’ll serve your needs by referring you out to one of our global Brokerage partners. We’ll also stay in touch to ensure your needs are fully met. Relocating Nationally or Internationally? We Really Relate. You may have noticed our Glenn Connection motto, Opening Life’s Doors. While that may sound a little ambitious, we really find it to be true. Nothing proves that more than when we help corporate transferees relocate not only their homes, but their entire lives and often families, too, to a new city and state. Such a move is often very traumatic — we should know, as we’ve personally moved from state to state several times, and even from country to country and back again, too. So, we’re Realtors who can really “relate” to the emotions involved in relocation -- both exciting and perhaps a little scary. Many people too, like the fact that we handle transferees together, which makes for better bonding with clients on a personal level and results in better listening for cues. Even if you’re making a local move, you get the kid gloves treatment. All our clients deserve it.